My baby, my first born- he just keeps getting bigger and bigger, and more and more independent. And theres nothing I can do about it! It also doesn’t help that he literally is the size of a freaking 6 year old, and he turns 4 next week. With him getting older and older, it totally has its pros and cons. Now he can dress himself, help with chores, entertain himself for long periods of time, help a ton with his brother, etc. But the cons make me so sad. I mean, he is a weight that I can barely hold these days!! But one thing that makes me happy/sad/scared/excited all at the same time is his newly found independence and bravery. For a long time he was afraid to do anything that involved a risk of getting hurt. I don’t know where the fear came from since Jeremy and I have always made it a huge point to encourage taking risks. To have no fear. And when he would get hurt, we would just tell him to brush it off and not make a big deal of it. But still, the fear was there for him. Climbing the rock walls at parks? Well mama would have to be righttttt there in order for him to do it. Jumping off a couch? Only if it was an abnormally short couch;) And last but not least? Riding a bike. Well that down right terrified him. And then something clicked on my end. We never had given him a bike with training wheels. 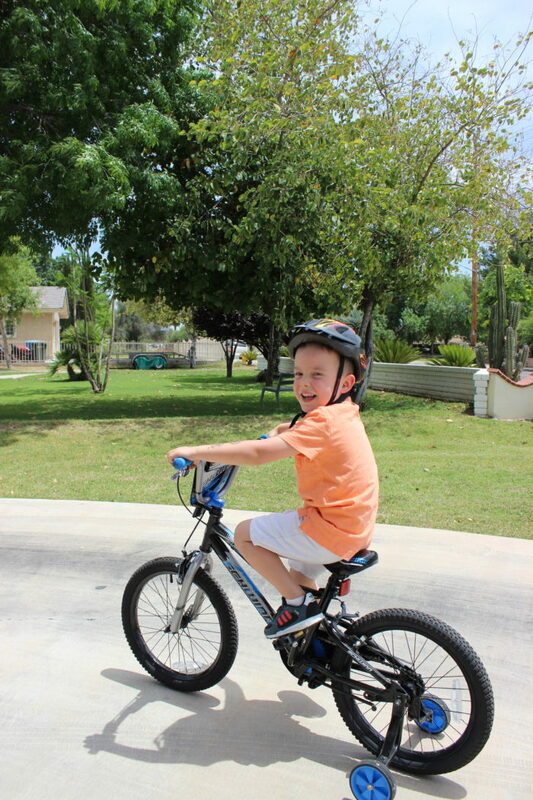 Once we got him his new Schwinn bike it was like a switch was flipped and he just got it! The fear was gone, the confidence was there, and he was SO proud of himself. 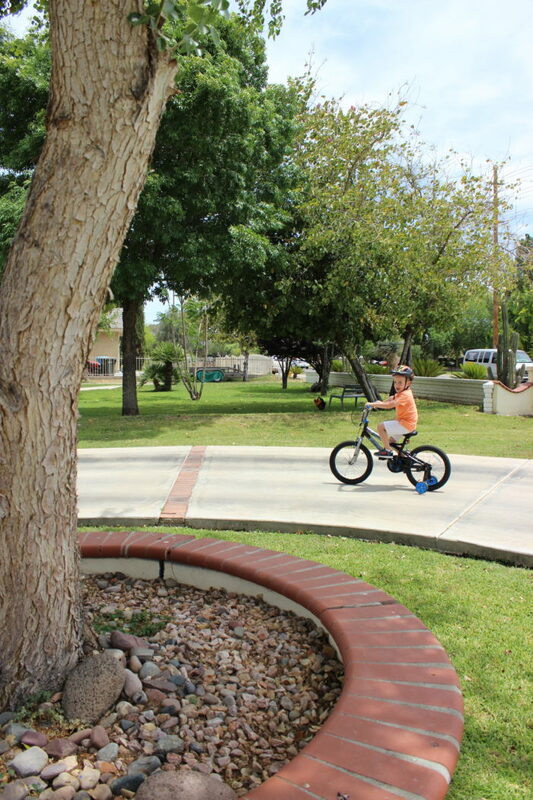 The training wheels made him feel confident that he wouldn’t fall. The fact that he was riding all by himself instead of on a trike or in my trailer made him feel like the biggest boy ever. And honestly, I cried. A lot. Partly because I was so in awe and kinda sad at how old he is now, but more so because my mama heart couldn’t have been more proud! 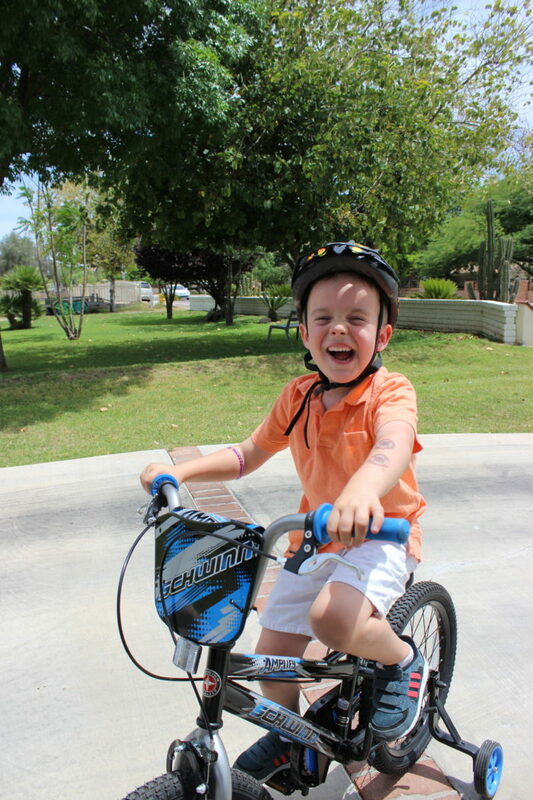 To see him just beaming while riding, and wanting to ride every single day, is just amazing. And an awesome side effect to him loving riding now is that it is making our family as a whole more active together. If it were up to Bray, we would literally go on a family bike ride every.single.day. 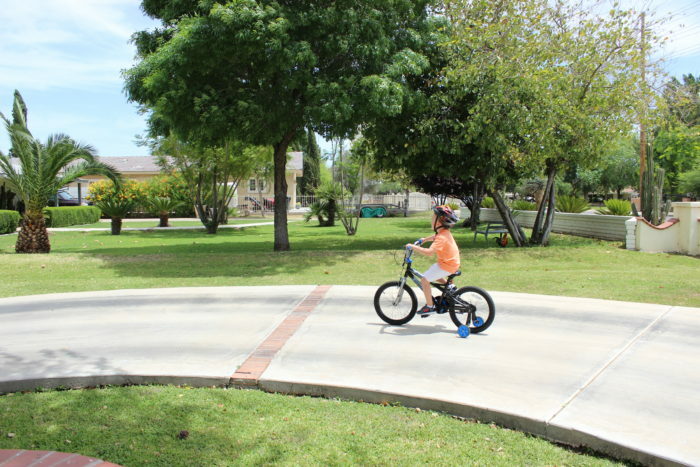 So while that doesn’t quite happen, we find ourselves outside riding around, being active as a family, rather than being inside playing a game or cartoons on. So really- its been such a blessing for our family. So- if you want to have a good cry sesh- go get your baby something that will make them seem 10 years older in an instant. But no matter what- let that mama heart just beam with pride..because they deserve it!